What standards are enforced on events? Overtaking is only allowed on the straights, normally the left and never in corners or braking zones. 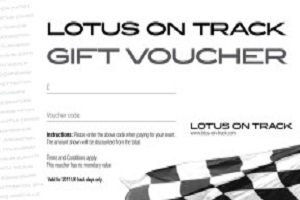 Is Lotus-on-Track the club for me? If you are looking for safe, fun track days in a friendly environment at a reasonable price and are prepared to follow the standards laid out above then please read on. What does membership cost and include? Membership of L-o-T is £30 for 12 calendar months from date of joining. After the first year there is an option of life time membership for an additional one off £30. Membership covers your partner or spouse and we actively encourage them to join you on track. Yes! The vast majority of our members have attended their first track day with LoT. If you don’t have a Lotus don’t worry we also welcome owners of Caterhams, VX220s, Westfields and Porsches. 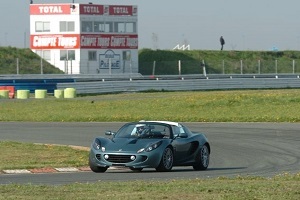 If you have another type of 2 seater road going sports car please contact us before joining – info@lotus-on-track.com. We do not accept new members with 2 door coupe’s such as the BMW M3 or saloon cars that have been modified to have 2 seats. We also don’t accept Radical style track cars under any circumstances. If a member has done a number of events with us in a suitable car and then they move on to another road going car that wouldn’t normally be accepted they are more than welcome to remain as a member and continue with that car in most cases. We recognise that circumstances do change, just drop us an email to check please. We do expect all cars to be able to meet safety and noise emission requirements. All cars need to be to MOT standards, seatbelts, brakes, indicators and lights all need to work and tyres must be in good condition. Caterham type vehicles must be fitted with an FIA/Motorsport UK/FFSA/RACB approved Roll Over Protection system(ROPs), although we recommend a full FIA approved roll-cage. All other non-Lotus cars that have a soft top or open top must be fitted with an approved Roll Over Protection system(ROPs). All cars regardless of manufacturer registered before 1995 must have an half or full roll-cage. At Spa Francorchamps, Dijon Prenois, Le Mans, Bilster Berg & Zandvoort a full approved roll-cage is required on all cars with the exception of Lotus, Porsche, Ferrari that have been registered after 1995. To be clear if you would like to drive Spa with a Caterham/Westfield you must have a full roll-cage. The most important thing is the right attitude. Track days can be dangerous. There will be a set of simple rules designed to keep you and others safe, if you come prepared to follow those rules, you will be fine, break them and you’ll be going home early. Other than that, a suitable & safe car and the correct clothing. Do I need to wear a crash helmet? Helmets are compulsory for everyone intending to drive or passenger. All drivers and passengers must wear a crash helmet that is suitable for driving a car on circuit. ANY open vehicle will require a driver to wear a full face helmet or fit a full fixed roof (not soft top). At some circuits we require drivers to wear a helmet that complies with current FIA/MSA/FFSA/RACB standards, this will be advertised on the relevant booking page. Drivers are responsible for ensuring helmets are fitted correctly. Jet style helmets or convertible helmets will be classed as open face. It should be noted that a cheap scooter helmet is not suitable for driving a car on circuit. It is also compulsory to have both your arms and legs fully covered by your clothing. We would recommend wearing a race suit and gloves but this is fairly rare on track days and down to personal preference. The vast majority of tracks have noise limits imposed on them by their local councils. These limits vary from track to track. The limit for each event is clearly displayed with the event information as either static or drive by, in some cases both. Static test – A noise meter is placed at a 45 degree angle to the exhaust outlet and 50cm away. The car is then held at 3/4 of its maximum rev limit and the highest reading recorded is the cars recorded noise output for the day. A static limit of 105db is very high and very few cars have an issue with this at 101db cars with std factory manifolds and exhausts should be ok. Anyone with a very loud exhaust/manifold should be careful. 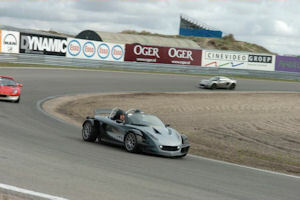 Drive by – This test is recorded at track side as the car is moving at track speed. Depending on the circuit the reading will be taken between right next to the track and up to 20 meters away. Cars with Forced Induction tend to have more issues with drive by, even though they tend to pass static tests as the s/c or turbo’s only kick in when run at speed. There are many things that affect drive by readings from wind direction, air temperature, how low the cloud cover is or even what line you are driving. If a car is over the official limit, the car will not be allowed onto the circuit. 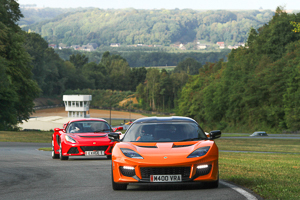 Lotus-on-Track will have no part in this process or a say in its outcome. If you do not know what the noise output of your car is, as a general guide most standard unmodified road cars will record under 98db static and lower than 87db drive by (the strictest enforced at any of the venues used by us). 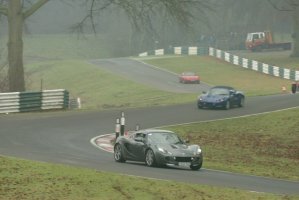 It should also be pointed out that the physical characteristics of cars can change between one day and the next – especially as a lot of Elise’s are getting old – exhausts loosen up, also drivers get quicker and thus push the cars harder the more track days they attend or when they re-visit a circuit multiple times. If in doubt get the car tested prior to booking an event, it is possible to have your car tested at most UK circuits if you contact them direct. What is Open Pit Lane or Sessions? A Sessioned event means that the day will be structured into usually 3 separate groups of cars which take it in turns to go out on track for 20 minutes at a time. Each car and all its drivers will be restricted to their group for the duration of the day (except when under instruction where the car may be allowed on track in additional sessions). Drivers are allocated the group depending on their experience level and type of car. The aim is to keep fast and slower cars separate. An Open Pit Lane event means that cars are free to go out onto the track when they choose (providing the circuit limit or our normally reduced limit has not been reached). Yes! Passengers are more than welcome, please see the age limit section below. On most track days we don’t charge for passengers but do require them to complete an indemnity form and abide by the same rules as drivers on the day including following any instructions that are given. They must wear a suitable helmet, that is done up properly as well as always wear a seat belt or harness. Once in the car they must not hold any objects such as camera’s or mobile phones. Passengers on all LoT track days must be 18 years old or over, proof of age will be required at sign-on. Yes we allow 2nd drivers on most events. However, if the event specifies an experience level such as ‘advanced drivers only’, ‘novice drivers only’, ‘not suitable as a first track day’ the 2nd driver must fall into this category. On some track days we don’t charge for 2nd drivers but insist that they make the first sign on and briefing, on other days we charge. Second drivers should be 21 years old or over. No more than 2 additional drivers per car will be accepted. Is there an age limit at events? 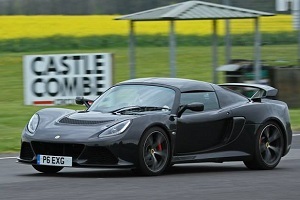 Drivers and passengers on all Lotus on Track events must be 18 years old or over. Those under the age of 18 can visit most circuits but there is a minimum age of 16 or 18 in the pit lane at all circuits. No children under the age of 16 will be allowed into Hethel, Bedford Autodrome or North Weald as there are no spectator facilities for our events at these venue. At some venues we do not permit slicks, especially Spa, Castle Combe, Hethel. Slick use is by prior written approval only and on an event by event basis. Where permitted the car must be fitted with FIA/MSA/FFSA/RACB approved Roll Over Protection system(ROPs). Road legal Avon ZZRs, Yokohama AO48’s and Toyo 888’s etc are not classed as being slick. I’ve never driven on a track before and I would like some pointers. 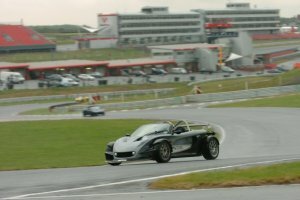 Experienced track users who are also ARDS registered instructors attend all UK Lotus-on-Track events. These are available to give you some guidance into track driving. They won’t be teaching you to be a racing driver, but they will be sharing the benefits of their racing and track day experience. Cost is generally £25 for one session of 20 minutes if booked in advance. I’d like to hire a crash helmet. We have crash helmets available to hire. The helmets meet current MSA guidelines and can be booked when you book your track day. We will take some form of deposit from you, normally a credit card or driving licence, which will be returned at the end of the day when you return the helmet. I’d like to book an instruction session. If you are attending a UK track day and would like to book a session with one of our instructors we would strongly advise that you book your session when booking the track day. We allocate instruction sessions in the order the are booked so there is more chance of a morning slot. If you forget to book and let us know in advance of the day we will try and allocate you as early a session as possible but more likely than not this will be in the afternoon. Any remaining places will be sold on the day of the event on a first come basis. As a rule we will not sell more than one instruction session in advance of the day per car. Will I be ‘too slow’ or ‘too fast’? Speed is not necessarily an issue. Of course an overly slow driver can cause a nuisance, which is why we select sessions partly on the grounds of peoples prior experience, type of vehicle and where they will feel most comfortable. If sessions are clearly not working out: we change them. We strive to provide a comfortable situation for newcomers and experienced drivers alike. Any driver not being “considerate” to others will be removed from the track immediately. We make every effort to make all drivers feel relaxed and make sure they are alert and enjoy the day. We run NON-competitive track days. Although a track day is generally a very safe time and place to try the limits of driving, in reality accidents can and sadly do happen. It would be dishonest for us to say otherwise. Should the unfortunate happen, rest assured that the attending marshals and paramedics will be fully able to cope and that full and proper procedures would be followed. Although track day accidents are rare, if you decide to take your car on to a track, you must be aware that you are accepting the risk. You will be required to sign a declaration at each event; this is usual on any track day. The circuit, Lotus-on-Track or any other person or company cannot be held responsible, even if an accident is not your fault. It is very unlikely that your road going insurance policy is going to cover you for a track day so make sure you check with your insurance company first. Make sure you mention that these events are non-competitive and no racing or timing is allowed. If you don’t have insurance that covers you it may be possible to arrange standalone cover – check out our Insurance directory HERE. All events can be booked via our on-line shop which can be found here. 3-5 days before each track day we will send an email with final instructions about the event, this will cover timings, directions and safety information. In addition before each track day starts there will be a briefing – you will be directed to this at sign-on. Briefings will normally be held at 8.30am and are mandatory so please arrive in plenty of time. The briefing will cover what will happen during the day, track specifics, flags and all other information that may be required. At the end of the briefing there will be a Q&A’s session if you have any questions please ask. In addition we have a facebook group where other members will be only too glad to answer any questions you may have.